Siziwe Mota is an environmental and social justice activist. She has 13 years’ experience campaigning at a domestic, regional and international level. 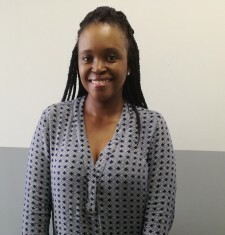 Siziwe holds a degree in Social Science, a Post-Graduate Diploma in Marketing and Supply Chain Management from the University of Kwa – Zulu Natal and a diploma in Project Management. She is currently registered for an LLB with the University of South Africa. Siziwe is currently the Women’s Human Rights Network Coordinator at the Institute for Strategic Litigation Africa (ISLA). She started her career in the human rights sector working for Lawyers for Human Rights as a Training Coordinator in the HIV/AIDS and The Law Programme. She has experience in coordinating various networks such as; the KwaZulu-Natal Christian Council were she coordinated a consortium of six ecumenical organisations under the Ecumenical Democracy and Human Rights Programme, and the Africa Regional Coordinator for Friends of the Earth Africa which comprised of 15 organisations from 15 countries in Africa. She has also worked for the Soul City Institute for Social Justice as a Manager for KwaZulu-Natal where she implemented programmes focusing on Young Women and Girls delivering interventions that promote equal treatment and respect for their basic human rights. Siziwe has also worked for the environmental justice organisation, Groundwork/Friends of the Earth South Africa where she managed campaigns on air quality and climate and energy justice. Her campaigns involved engaging grassroots social movements, government regulators, policy-makers, and International Financial Institutions domestically and regionally.